Home > Letters > Is PNG ready for artificial intelligence? Is PNG ready for artificial intelligence? Yesterday we ended our official trip to the City of Shenzhen. We were guest of the Deputy Mayor of Shenzhen Mr Ai Xuefeng and the China Steel Construction Engineering (CSCE) Ltd. This is the company that the Shenzhen Municipal Government engaged to built our new college, The Butuka Shenzhen Friendship College. This college symbolizes the Sister city relationship between our two cities. I signed an MOU in 2016 to make Shenzen our sister city. This college will be the first in PNG in that we will have a three in one campus comprising of elementary, primary and secondary school. It will also have indoor and outdoor sporting complex and cafeteria. We ended the official trip to Shenzhen with a visit to the massive assembly and fabrication plant owned the CSCE in the City of Huizhou which is about an hours drive from Shenzhen. 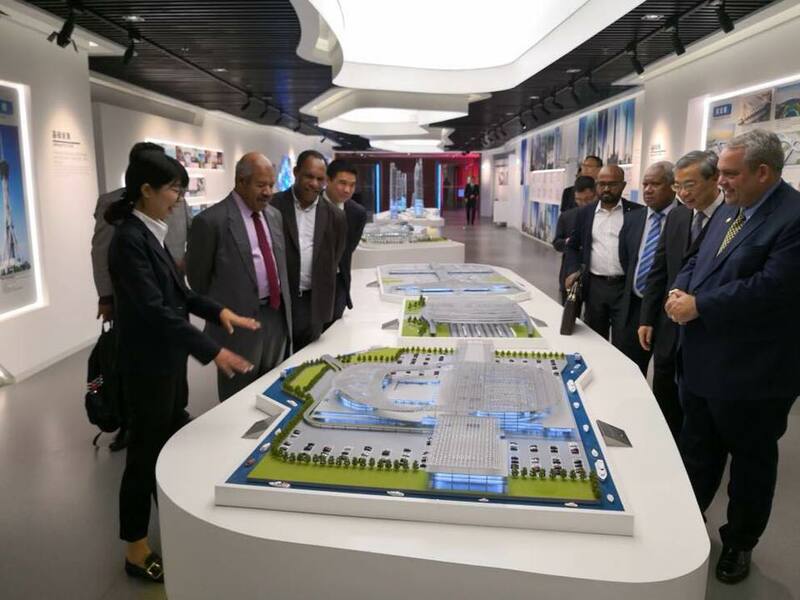 What impressed me about the visit wasn’t just the massive size of the assembly and fabrication plant but significantly more was the almost lack of workers in this massive plant. In the entire gigantic building comprising of various stages of formulating steel to customer design, we hardly saw any human work force. In a country of almost 2 billion people, many I believe would love to work in this innovative plant. The absence of workers therefore was a big surprise to me and all of our delegates. Instead of using human workforce to complete the stages of assembling and fabricating, all of the work was being done by robots, including cutting and welding. It was an astonishing cutting edge technology at its best but it also spoke volumes for the future. This technological advancement will not just have an impact on production line and quality of products and services, it will completely change the nature of the economy and how we humans relate to the economy in terms of employment and our overall lifestyle. This is not just a feature or an ad hoc decision by the assembly plant. 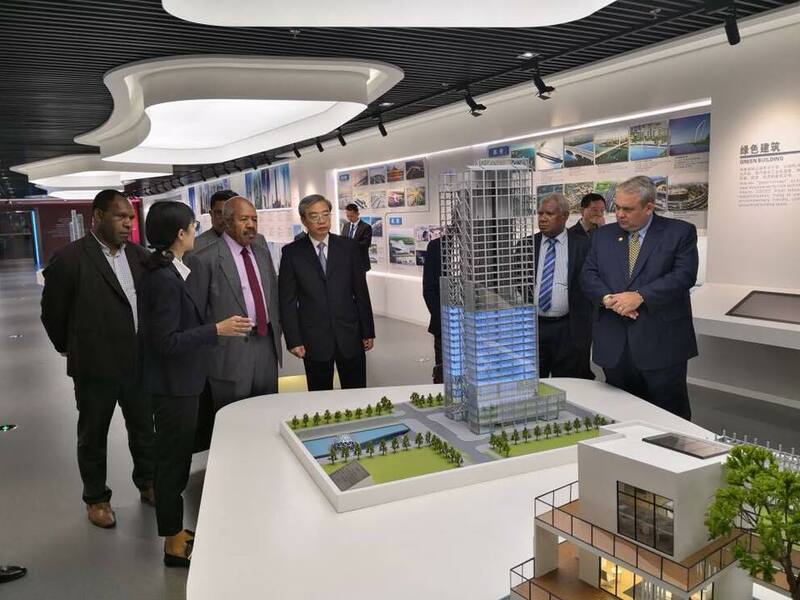 It was a well thought out plan and vision of this giant company which started in 1985 as part of the State owned mother company called China State Construction Engineering Company. Their future goal is to develop steel to a level and capacity which can enable them to be part of inter planetary travel and settlement, building space cities as depicted in the Star Wars movies, building floating cities in the ocean of the world and also building undersea cities. I was totally wowed by this vision when we visited their steel museum on the first day of our official trip. The museum tells a very powerful story of human progress since the discovery of steel. It takes you through the history of how steel was developed, enhanced and used to build industries generally but particularly to build infrastructures and monuments that litters all over the world today including the Eiffel Tower in Paris and other land marks like the Golden Gate Bridge in Los Angeles. At the end of the tour we were ushered into a 3D cinema where we were given their futuristic vision of how steel will take human civilization and technological advancement to another level. The sky is no longer the limit. It seems, a vision we only see in movies can be a reality soon. While that might seem like something we all dream of, I can’t begin to imagine what would it mean for us in terms of economic development and lifestyle into the future? Because it is already happening. It’s here now. We have to start waking up to a reality that employment and the economy as we know now it, would not be the same as it is today. Human doctors, engineers, pilots, factory workers especially in steel fabrication, nurses etc might be a thing of the past. Instead we will have these professions filled by artificial intelligence; robots which are already happening in China as I write this. Humans in the near future will have a lot of time to spare on their hands because almost all manual work might be out-sourced to robots and even professional jobs. Lifestyle and service industry, arts, music, sports and entertainment etc will be the mainstay of human activities in the coming future. The physical, mental and the manual aspect of human activity would be and can be outsourced by artificial intelligence. Where does that leave us humans? We may have to spend more time on holistic and lifestyle industry which would be hard to outsource to artificial intelligence robots. How we are employed or utilize our time and sustain ourselves will be a big challenge in this robotic future. This is a scenario that is devoid of the reality in PNG but it will happen sooner than later. It’s already making a presence in the most populated country in the world as our visit showed. This is a company that has K2 trillion worth of contract all over the world and is ranked 24 out of 500 top companies in the world. It is a giant global company that is investing in and already utilizing artificial intelligence on a massive scale. It’s vision is to perfect, improve and out source more so they can be competitive and relevant into the future. That’s means we in PNG and the world generally must start to wake up from our comfort zone and ignorance! It has already started inPNG. Don’t be complacent. We need to dive into the future with a positive outlook and dare to dream the impossible. I ask you to see the world in new perspectives and courageous to be different and futuristic!